In today’s IT-driven world, a fast, secure and reliable data infrastructure is vital for any educational organisation. Our consultancy-style approach will enable you to streamline working practices and cut costs, but also to prepare children for the hi-tech world that awaits them beyond education. Your data networks – whether they are local or wide area - reduce costs through staff and students sharing equipment and applications, such as phone systems, printers, etc., while also connecting you to other buildings on campus or other schools in your federation or MAT. These vital networks also provide your site-wide internet access – wired and Wi-Fi – to be used by desktops, laptops, tablets and BYODs. 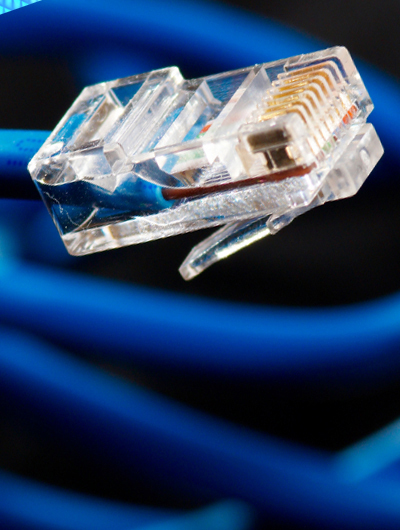 We can also supply your internet connections from a choice that ranges from broadband to internet leased lines. We can protect your networks, your students, staff and reputation with firewalls, intrusion prevention systems, and web and content filtering. Do not hesitate to contact one of our education experts if you feel we could be of help with any of your connectivity issues.